Is there any reason in particular why Lycanite's Mobs isn't a part of your pack? I was thinking of adding it to my own game, but figured I'd ask why you overlooked it first. It's probably because Lycanite's Mobs are extremely ugly. Of course that's just an opinion, but it's pretty common one because they have very wonky models and very rough textures that are not 16 bit. AoA for 1.12(still Alpha though) was released only recently, and I think this mod can be played standalone for it's amount of content. Ars magicka is still for 1.7.10. Electroblob's wizardry is almost the same. Lucanite's are too performance heavy as well as Mo' creatures as it adds a lot of entities to the game(mobs). AoA is completely unfinished, Ars Magica is 1.7, already talked about Lycanites, Mo Creatures is generally not very good as the mob spawning system is bad and they don't look very good compared to other animal mods. 1.14 have fabric and some mods, but havnt previous mods too. so any modpack .14 is rpg by automatic, because this mods havnt implementation on 1.14? No. It needs to have RPG mods to be an RPG modpack. 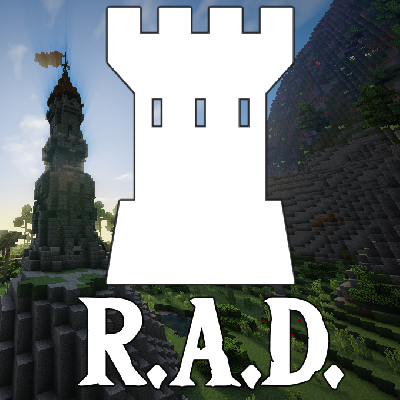 This modpack has lots of RPG styled mods, but none from 1.7 obviously. Your logic is that you need every single RPG mod from every single update even though that is impossible for a pack to be "RPG." Hi, Can Someone Please tell me what im doing wrong? i installed the mod through twitch and allowed twitch to manage it and updated the java version to the newest version, any other suggestions? The quests that just require "check" in the box don't seem to work. After clicking the box there is a green arrow, however you can't submit to complete. I'm having this exact same issue. I chose the mage quest, clicked the check, and choose submit, but it doesn't submit or offer you the reward. If you back out of that screen and come back, it's no longer checked. Thanks! That's a great workaround. Have a nice night! I can't play this modpack because the game keeps crashing. It says: An unexpected issue occurred and the game has crashed. We're sorry for the inconvenience.